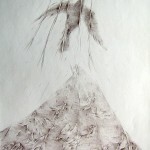 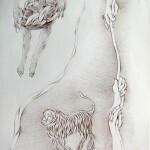 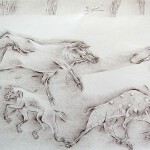 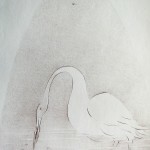 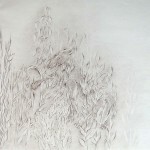 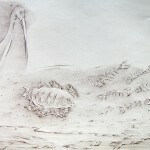 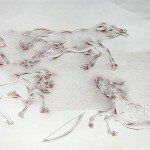 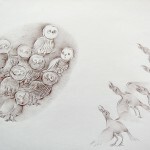 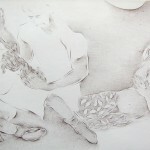 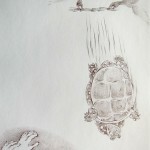 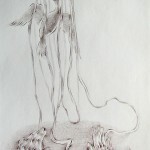 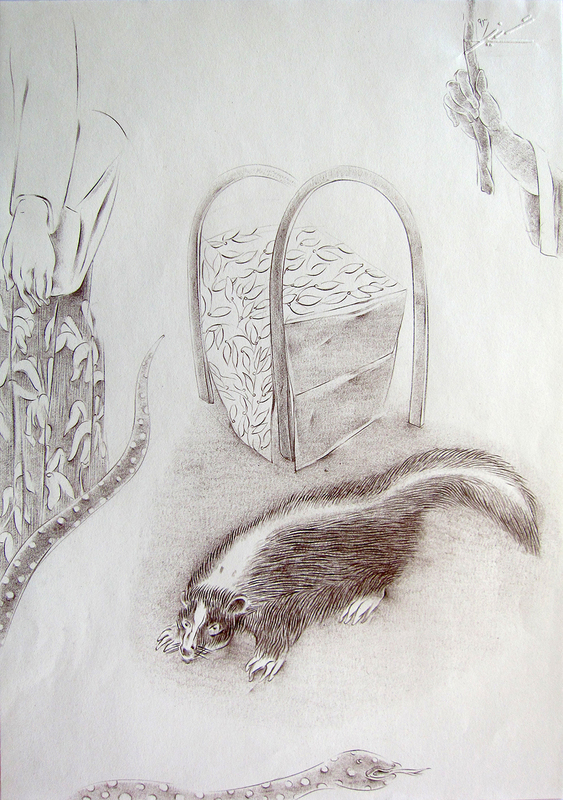 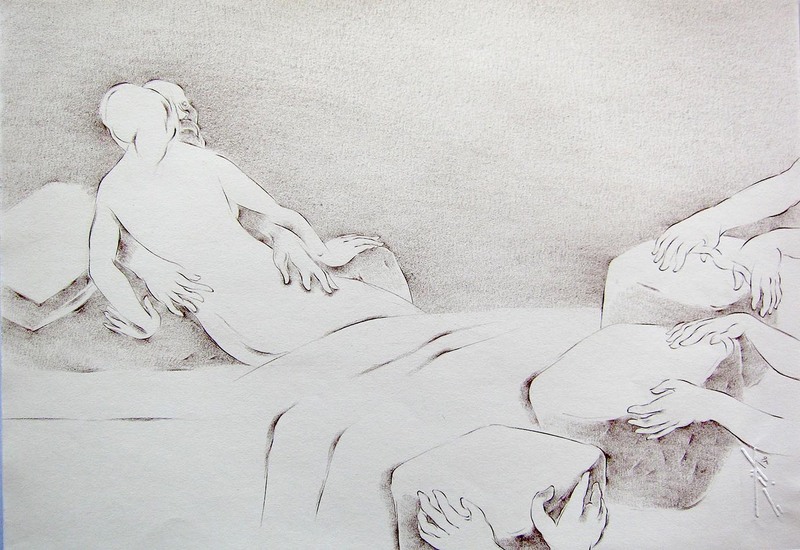 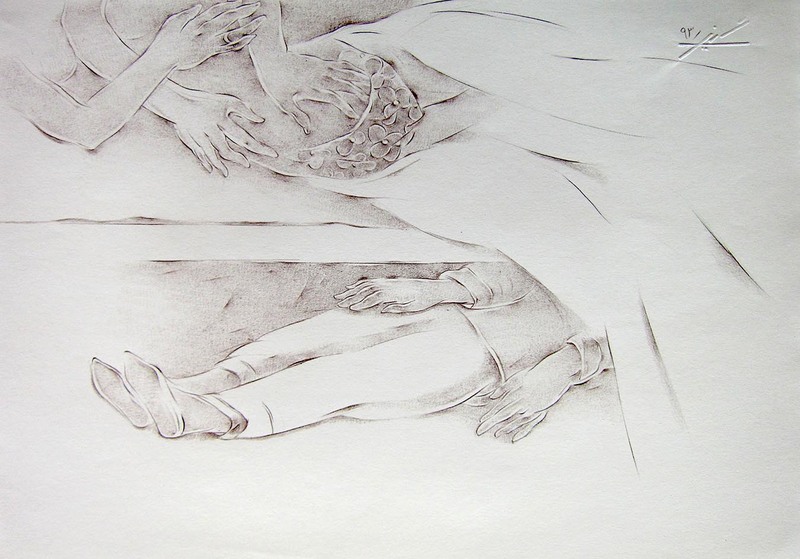 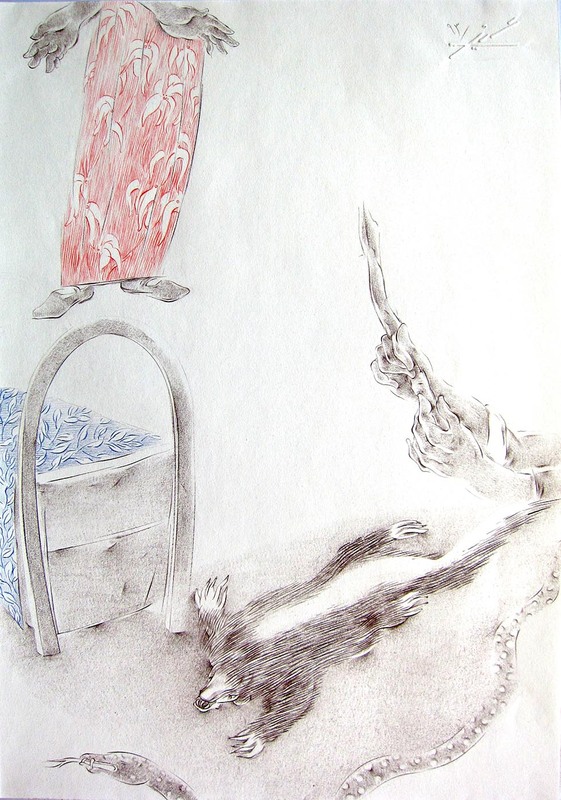 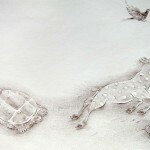 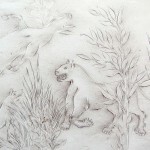 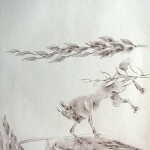 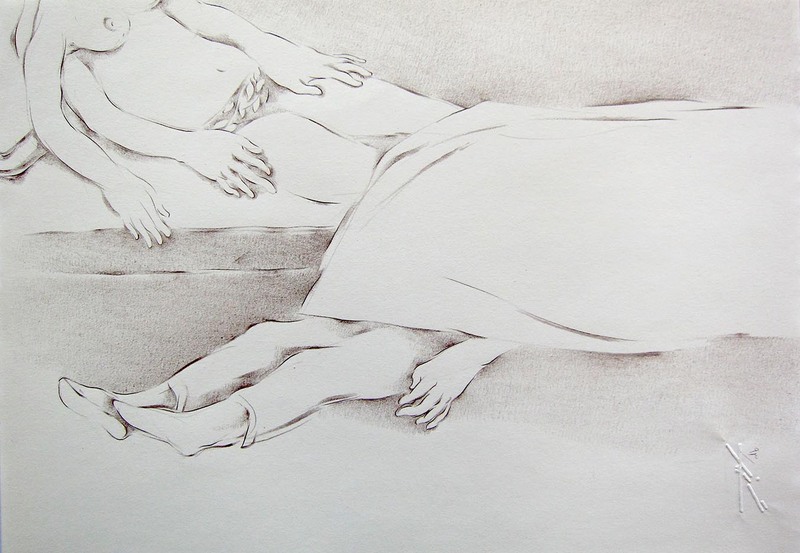 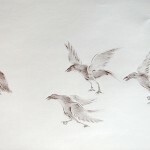 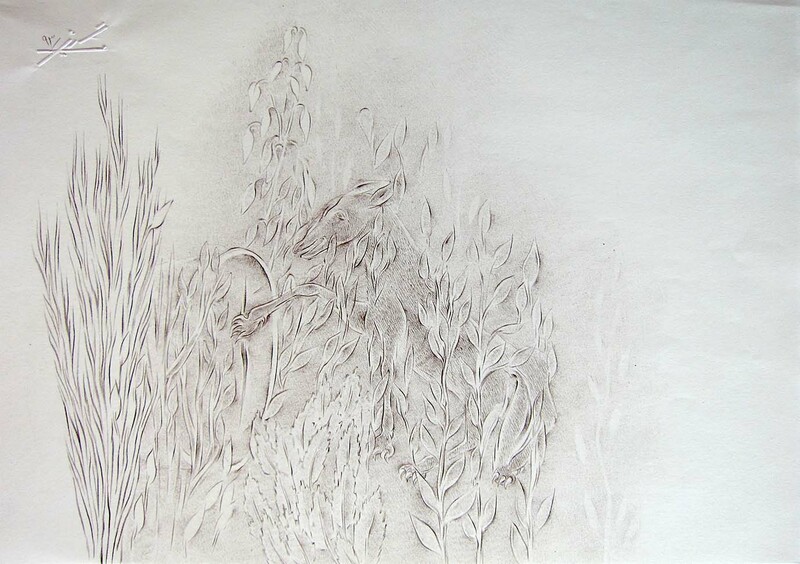 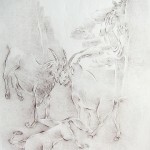 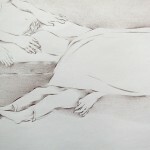 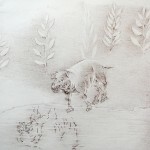 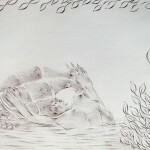 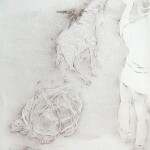 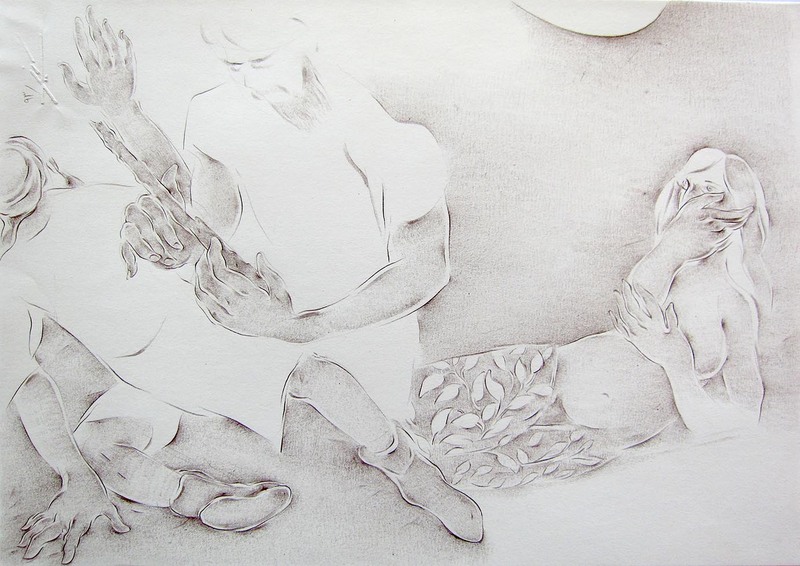 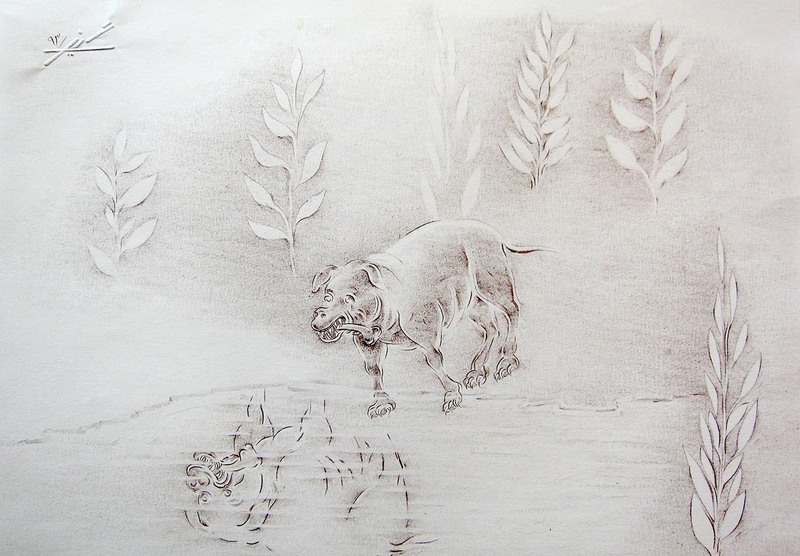 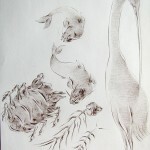 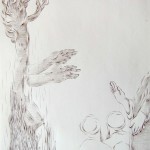 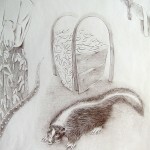 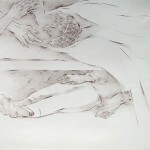 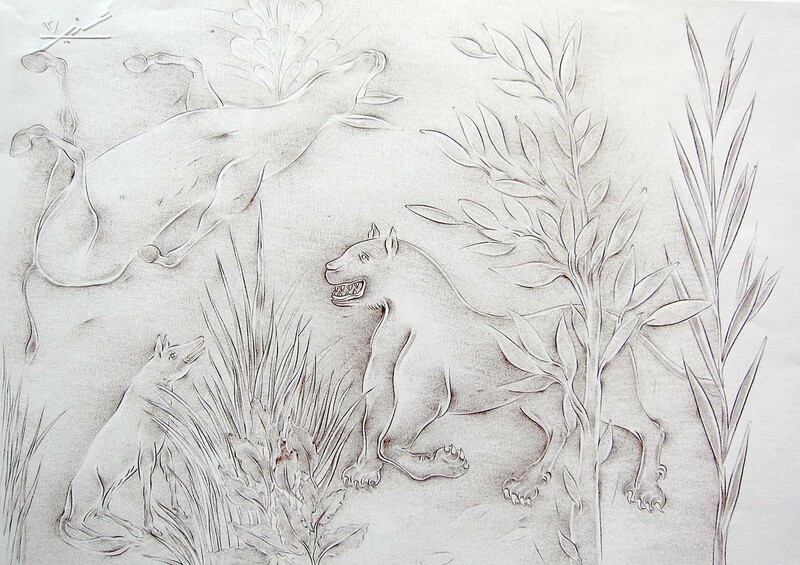 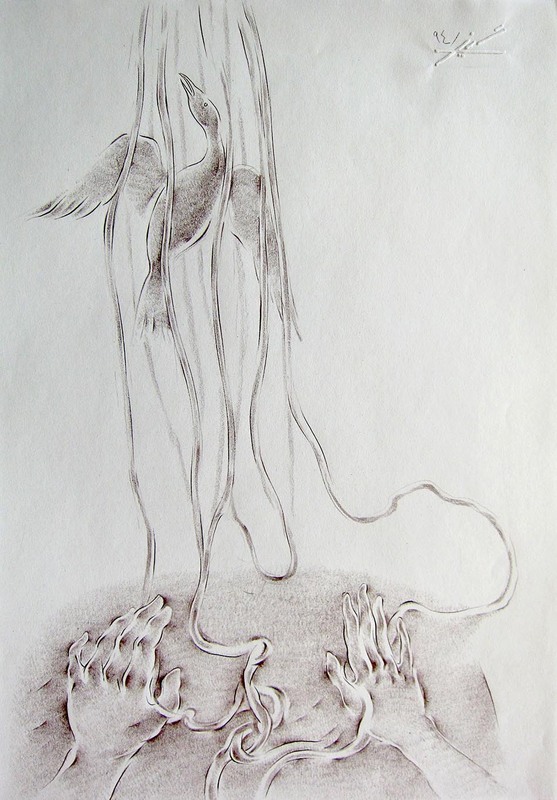 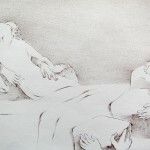 Drawing is an ancient media with its potentials being rediscovered again in contemporary times. 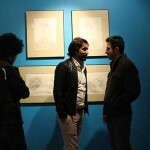 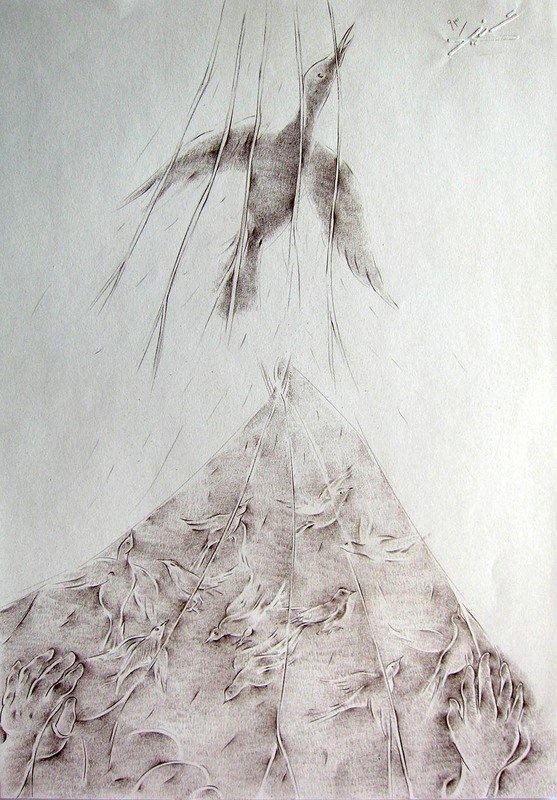 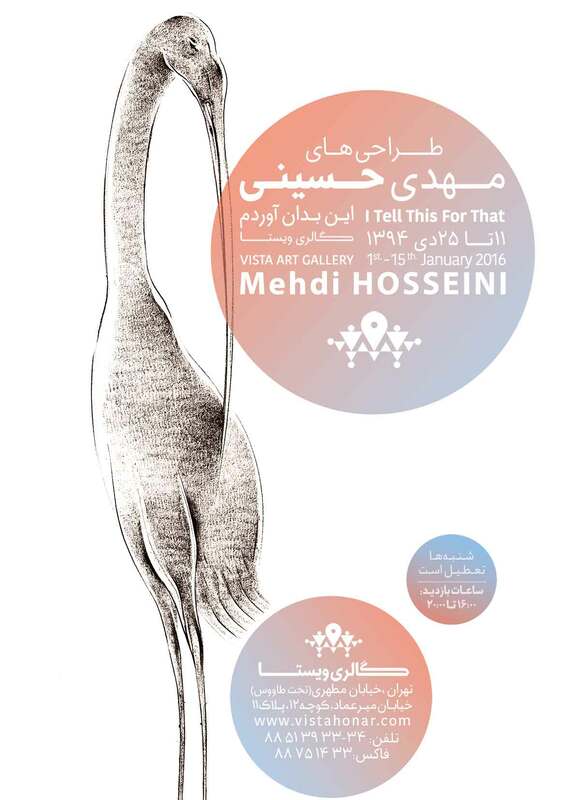 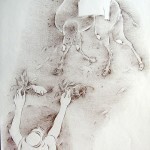 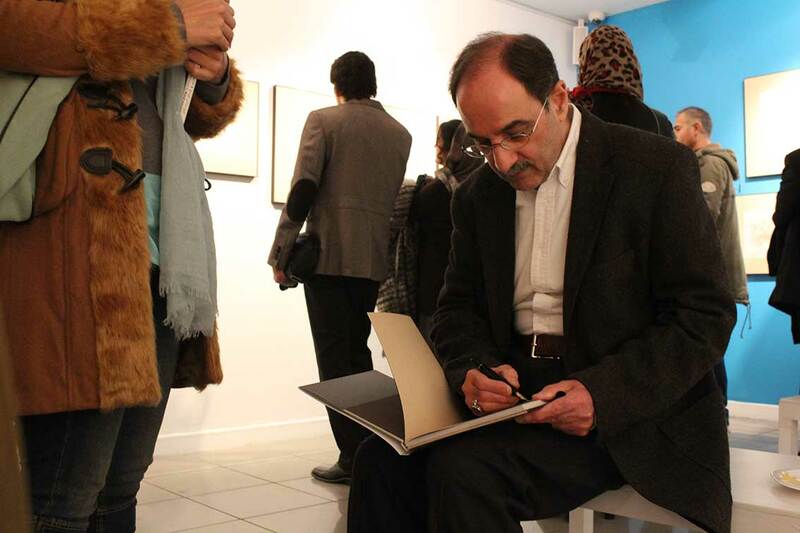 Mehdi Hosseini has put continues effort and innovation in his drawings. 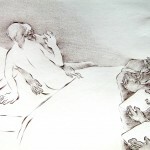 From ordinary objects to sectioning and breaking of windows, chairs and figures caused by war. 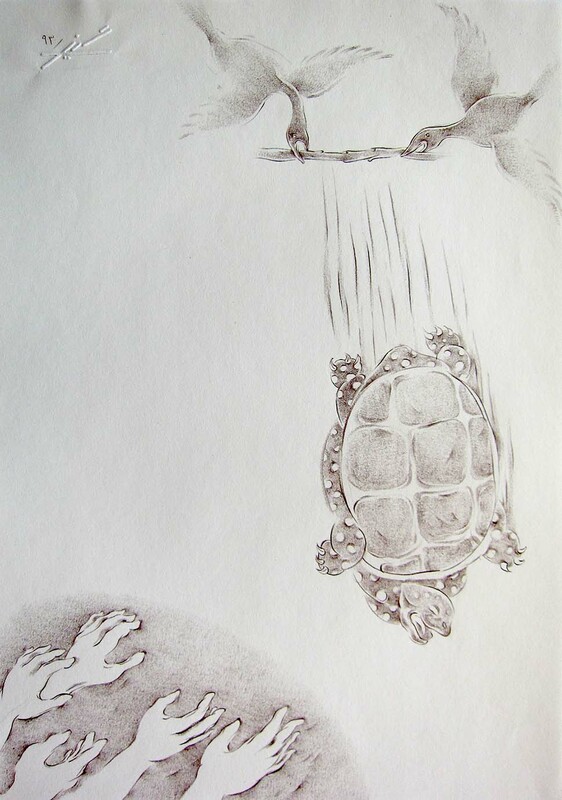 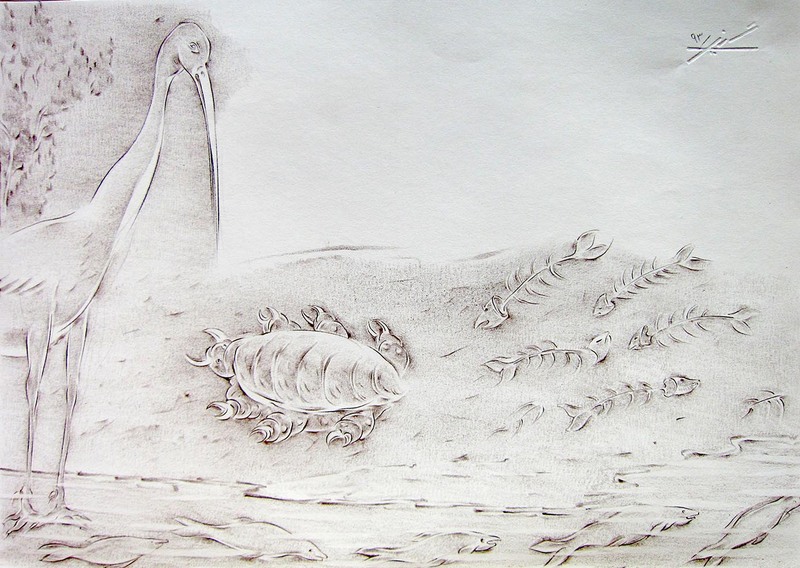 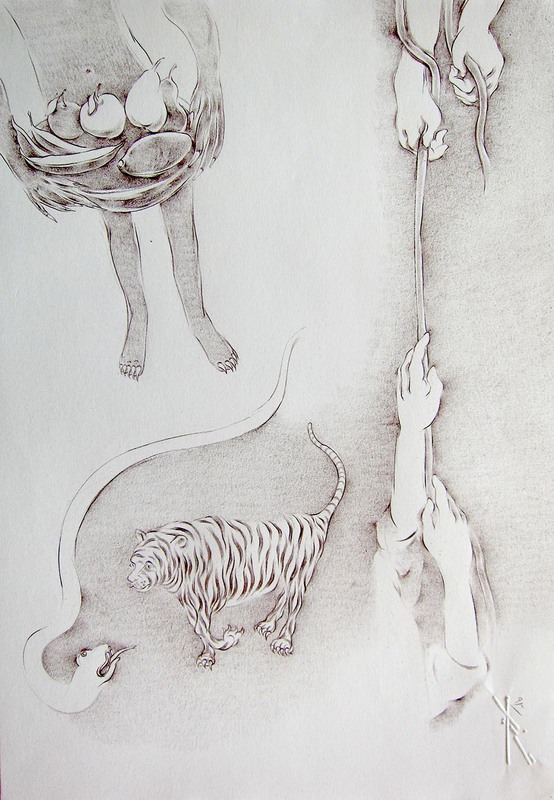 from slices and parts floating in the air to figure and miniature narratives. 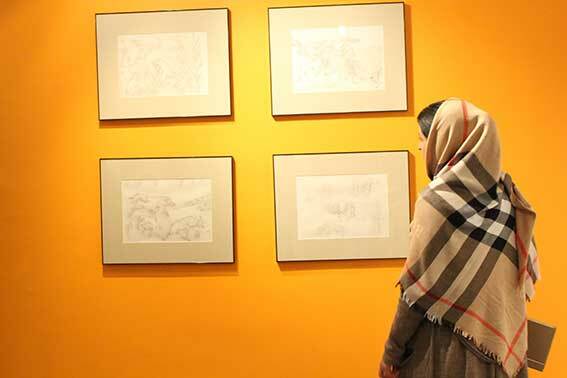 from Shahnameh stories to Zilou and Ghalamkar patterns. 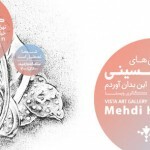 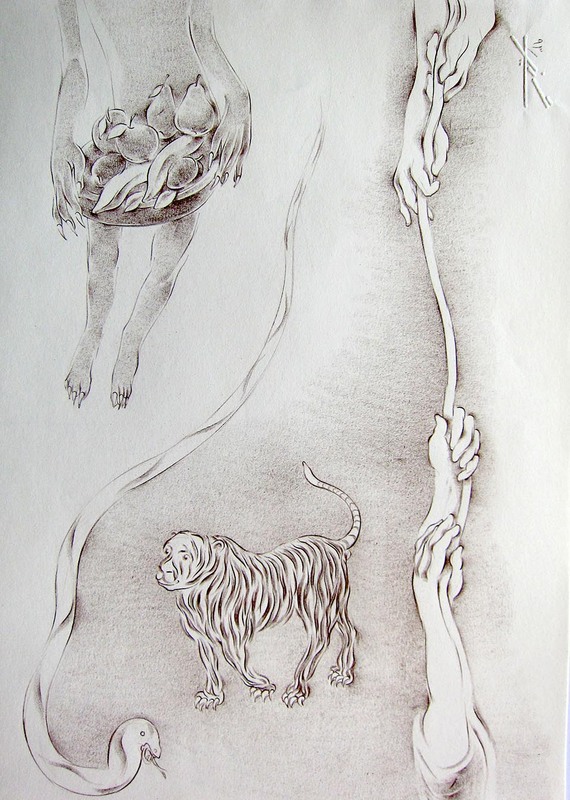 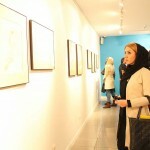 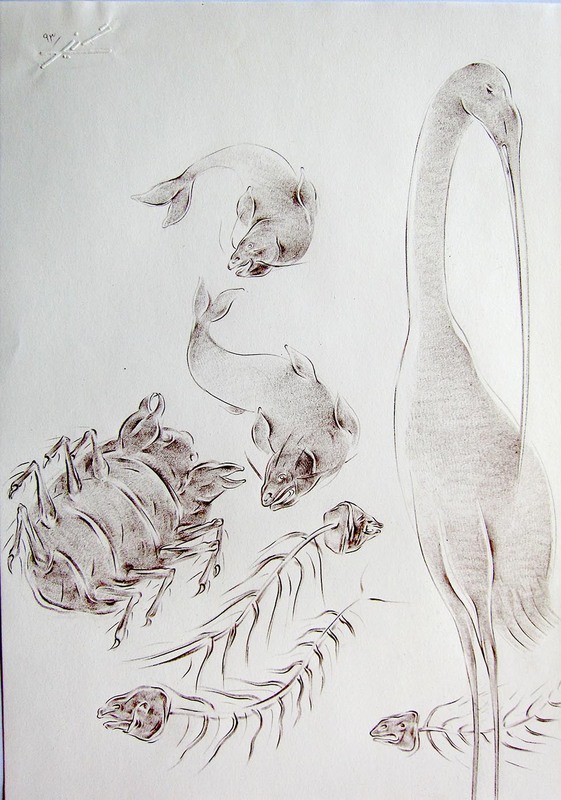 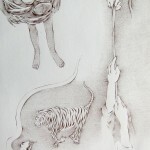 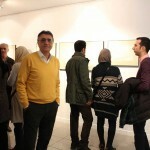 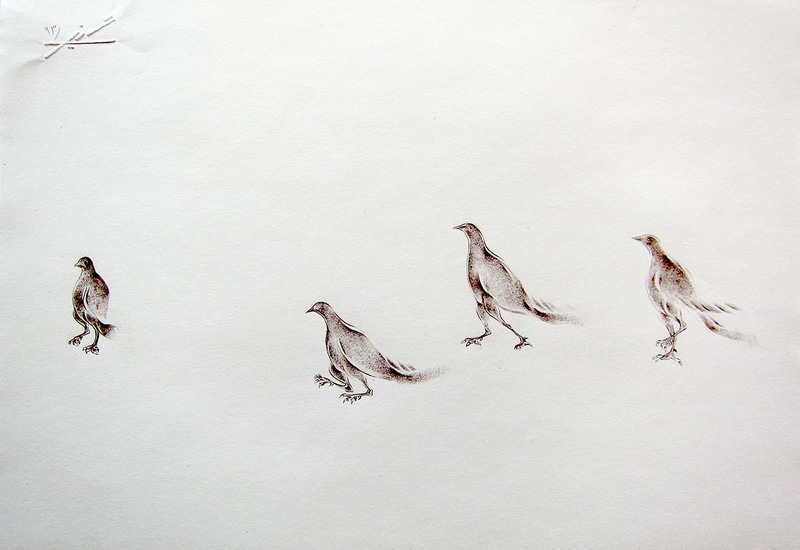 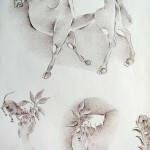 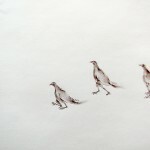 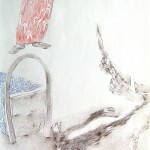 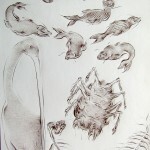 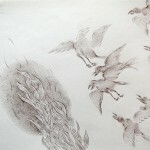 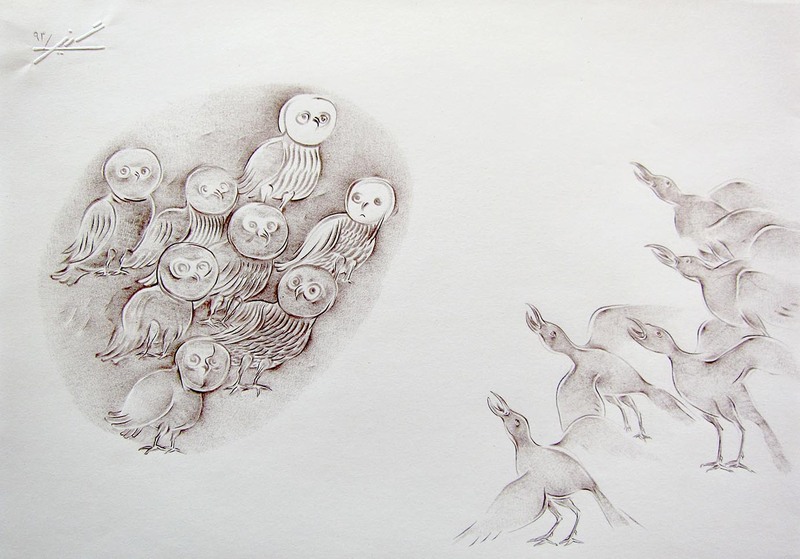 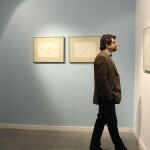 they are all different concepts which are seen in Mehdi Hosseini’s drawings using an almost identical and unique langue. 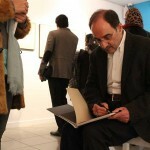 He has given new answers to different issues and has expanded his research in many fields. 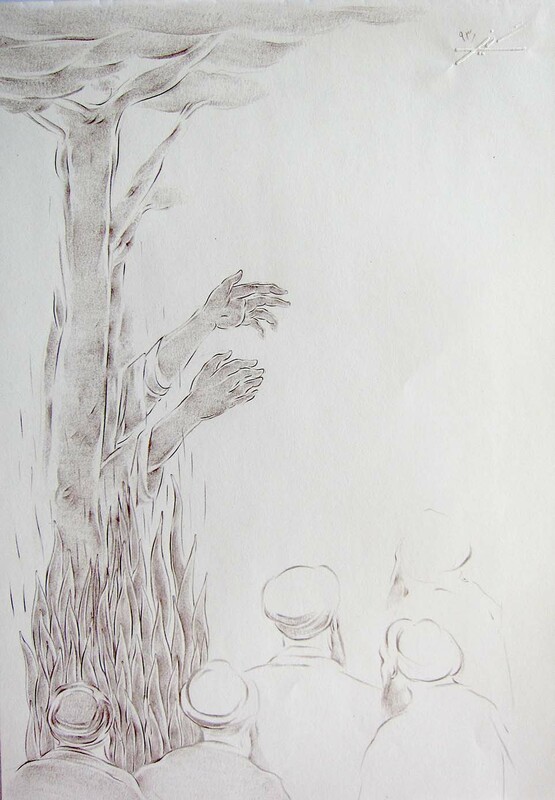 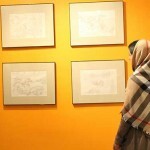 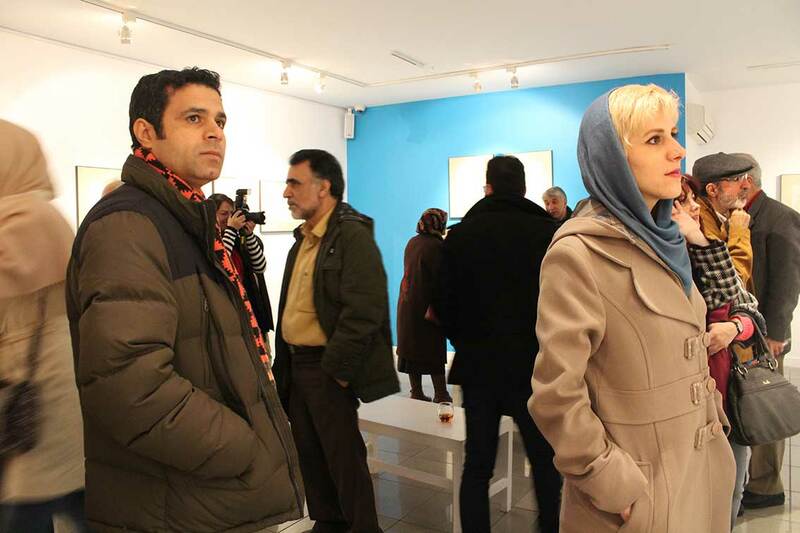 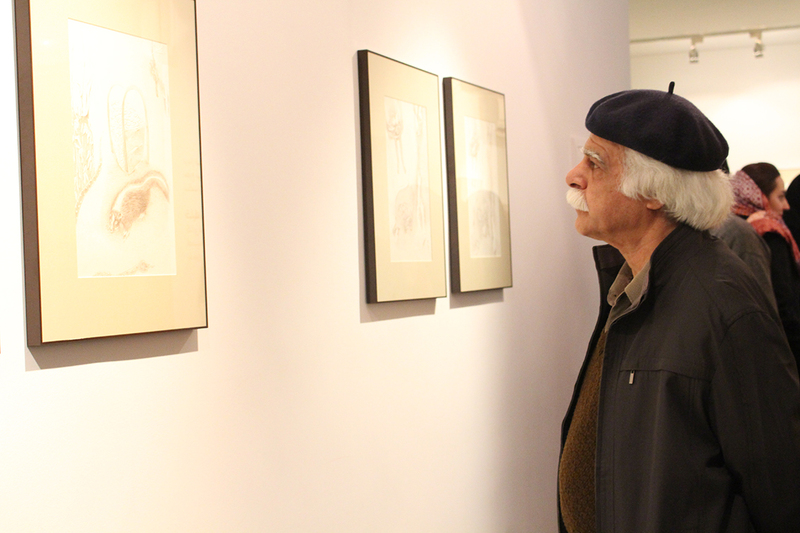 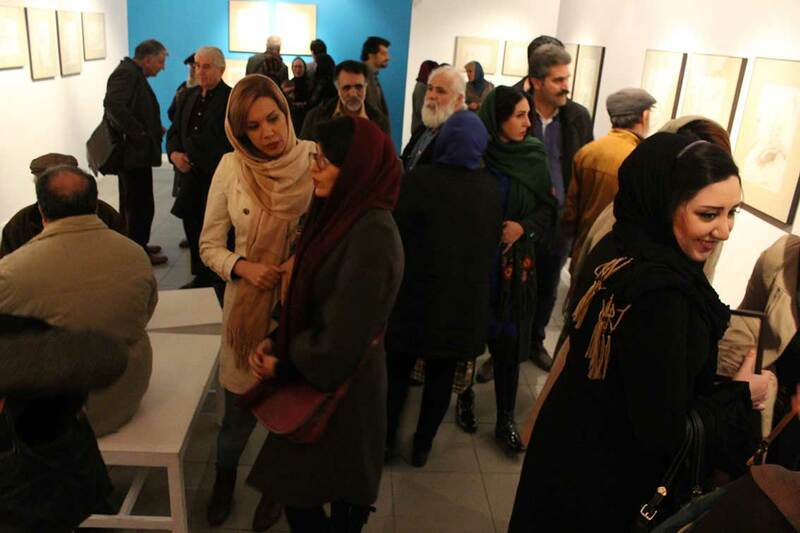 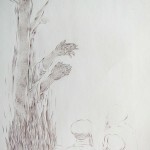 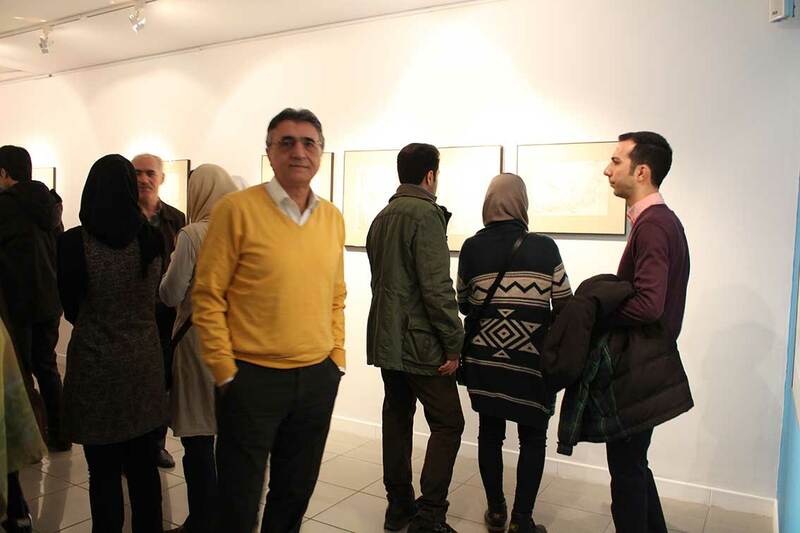 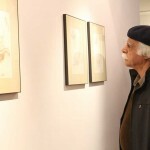 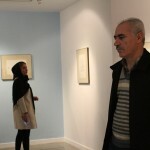 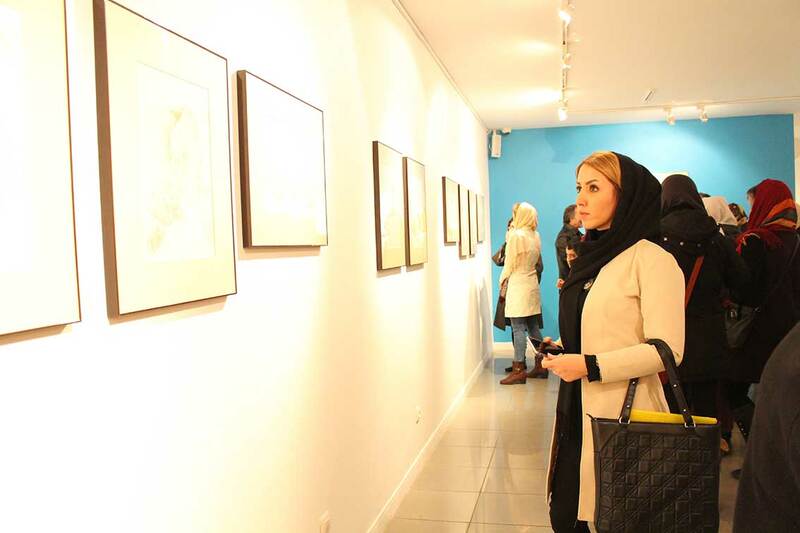 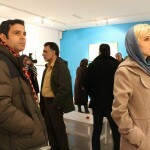 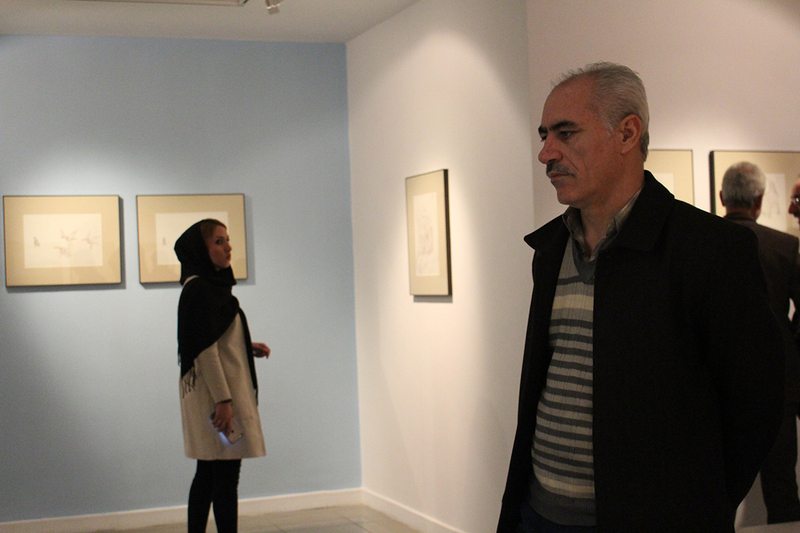 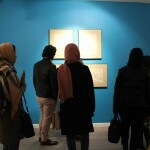 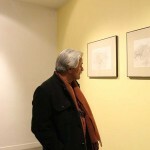 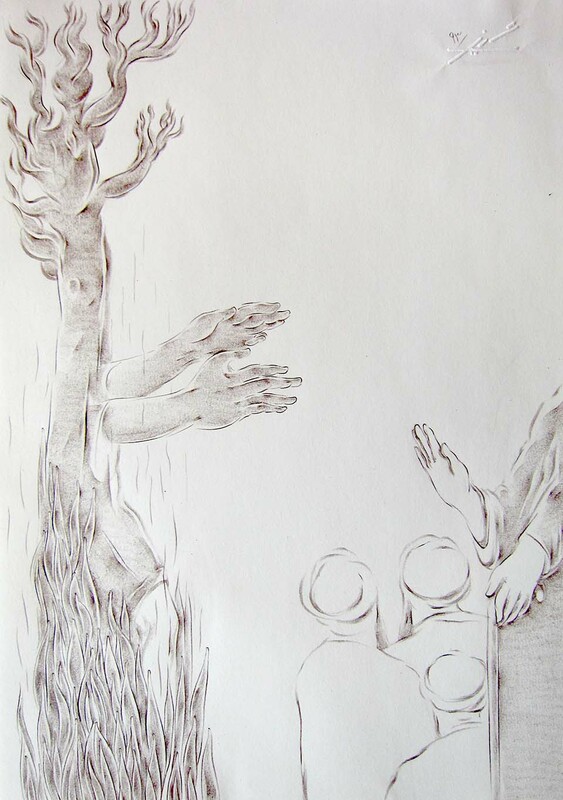 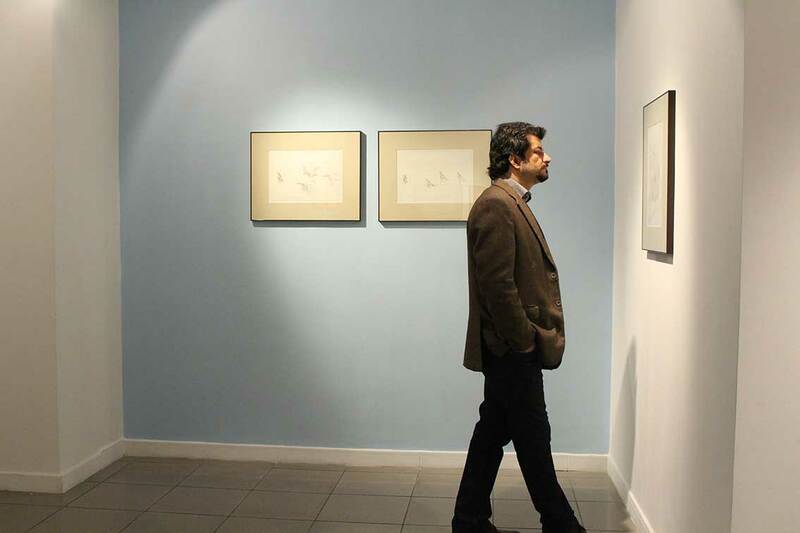 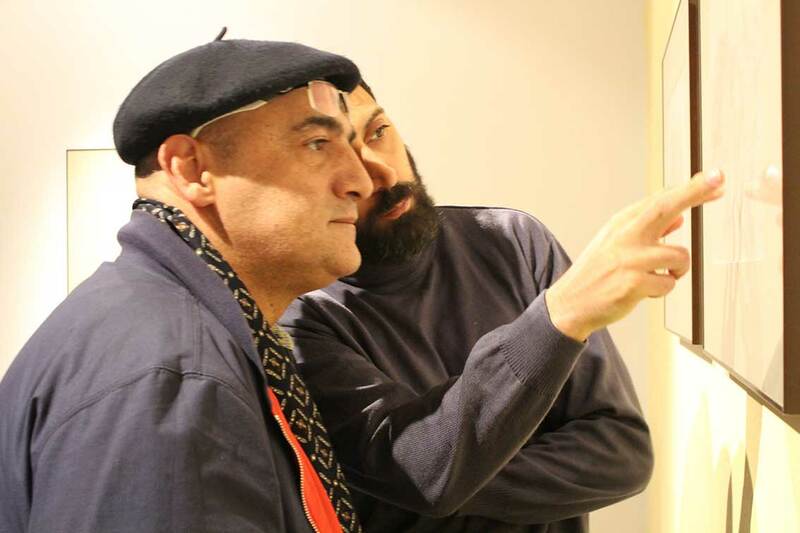 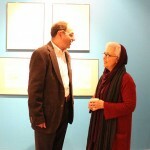 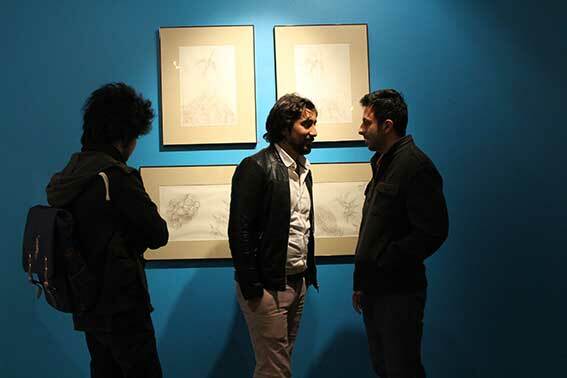 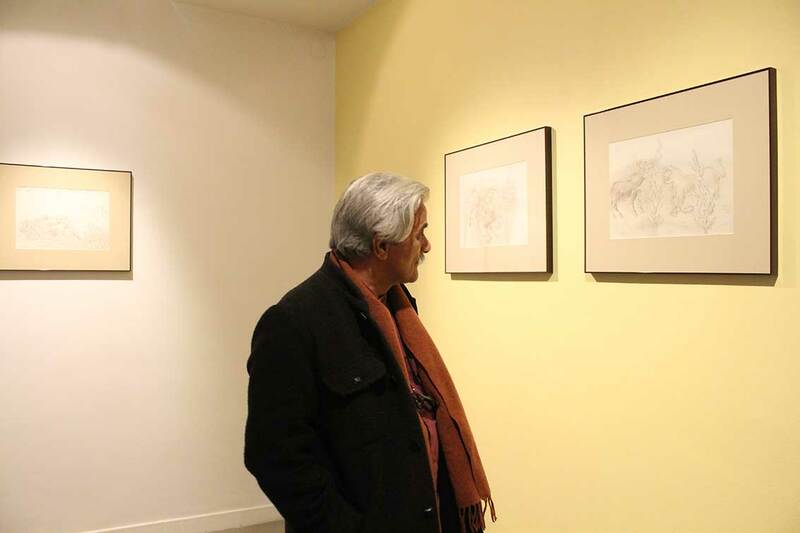 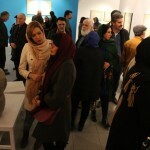 But the drawings are questions and answers of an Iranian artist to the past and present, with the many issues that create «us». 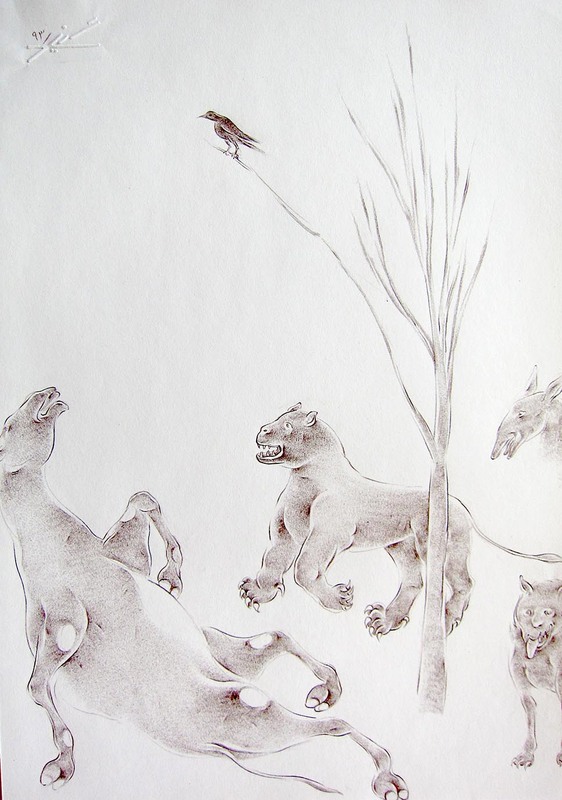 Kalileh o Demneh [Panchatantra] is a series of stories created upon the magic of imagination, with many contemporary potentials and vivid interpretations. 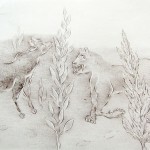 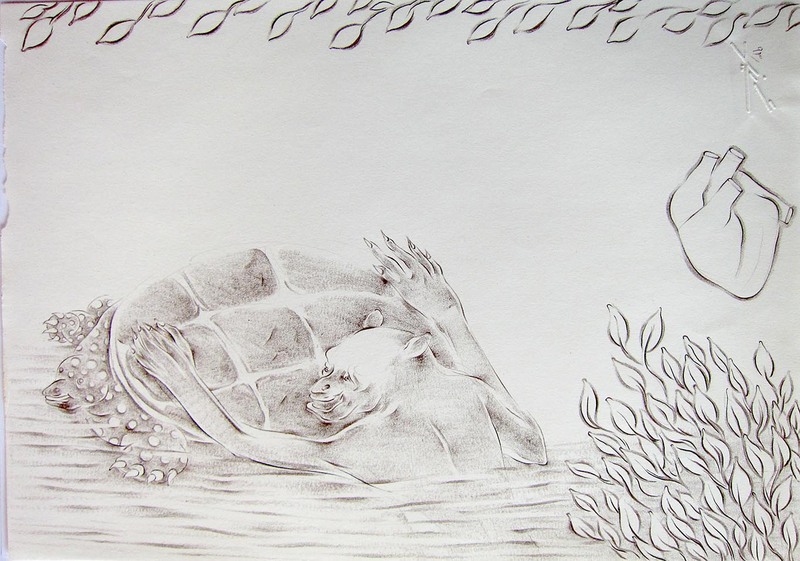 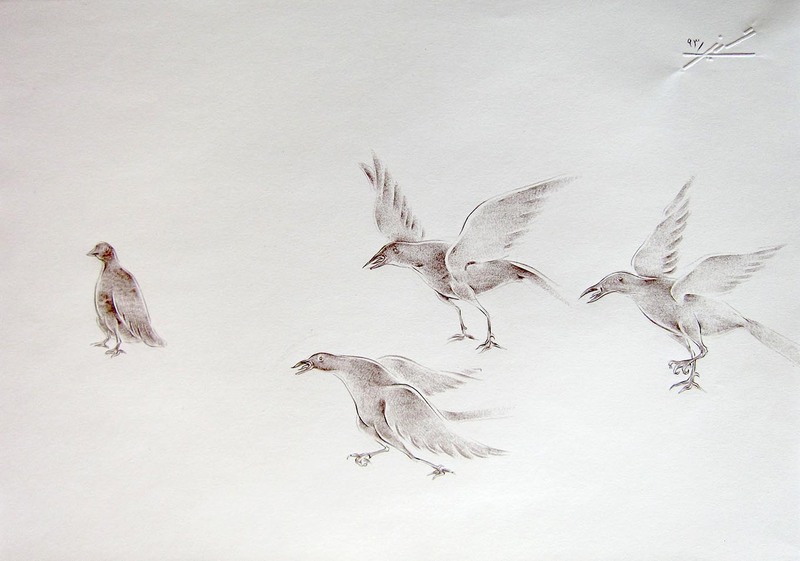 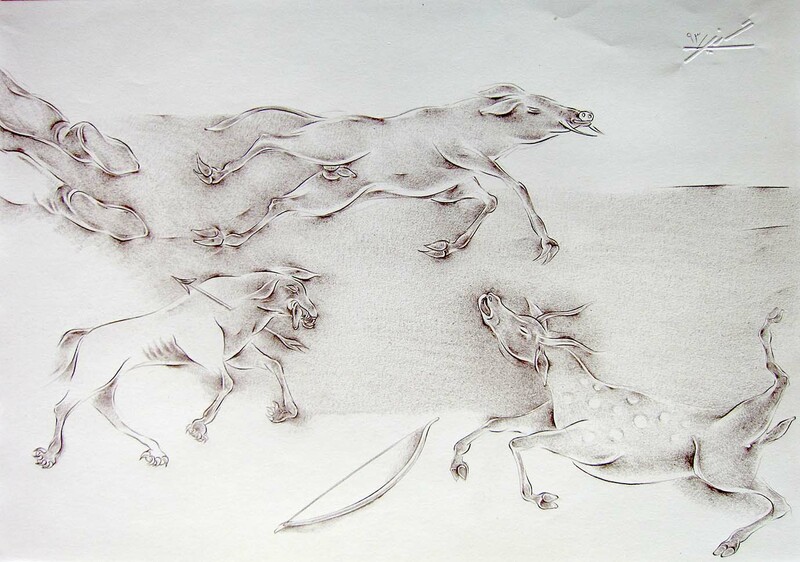 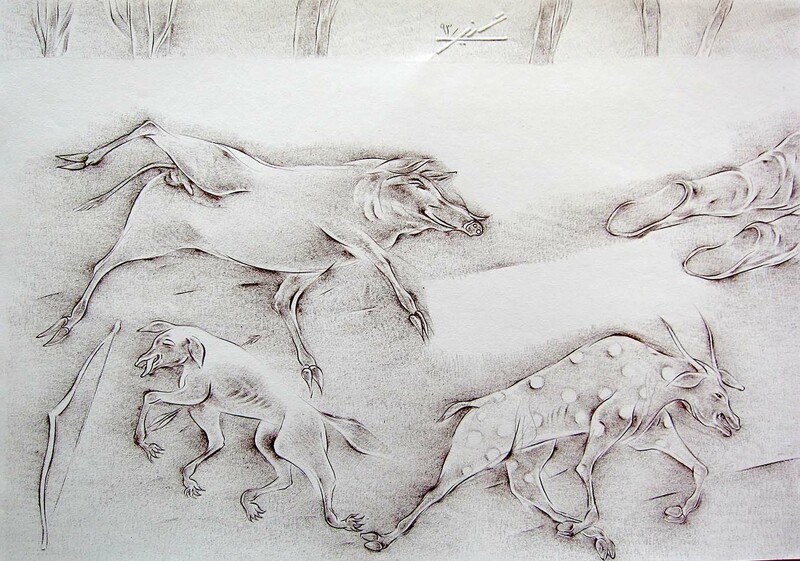 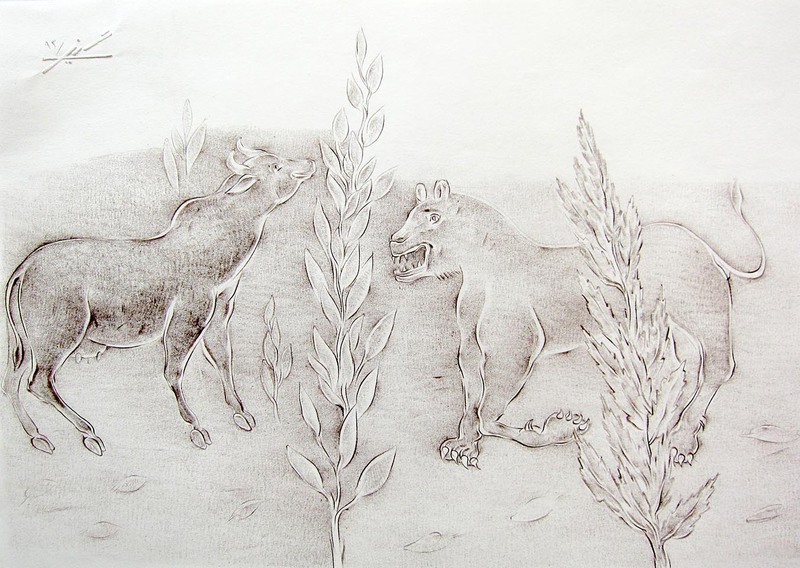 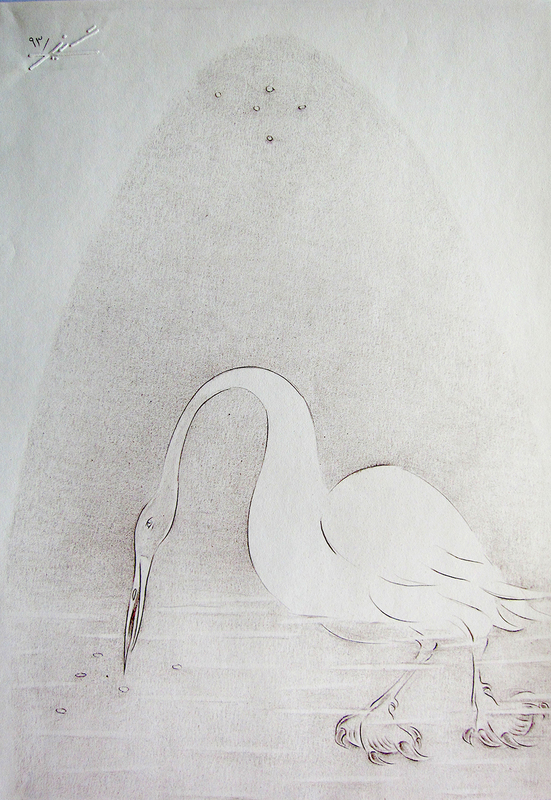 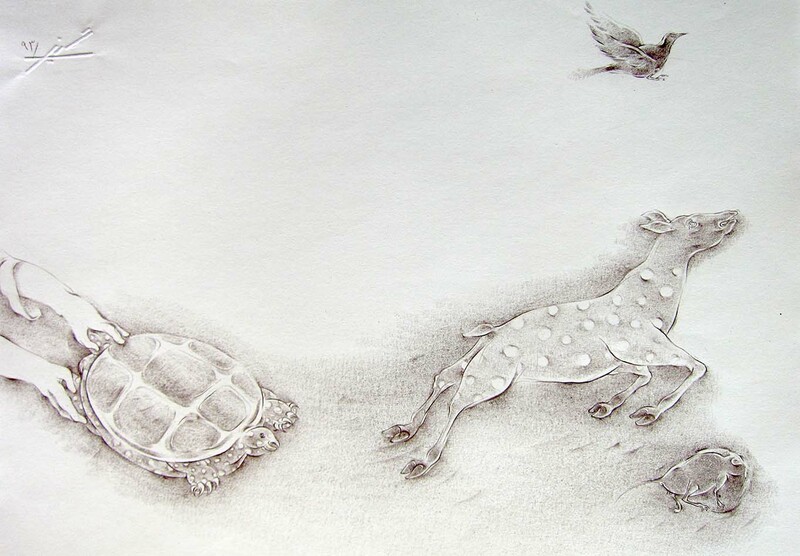 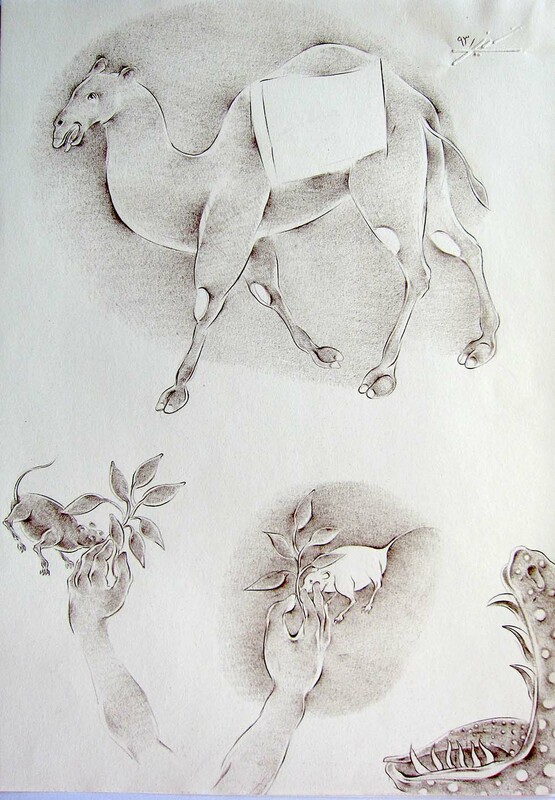 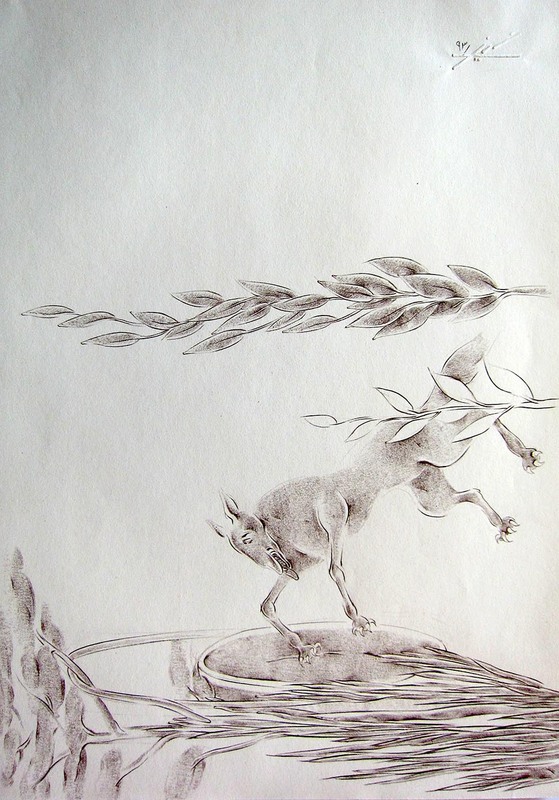 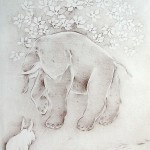 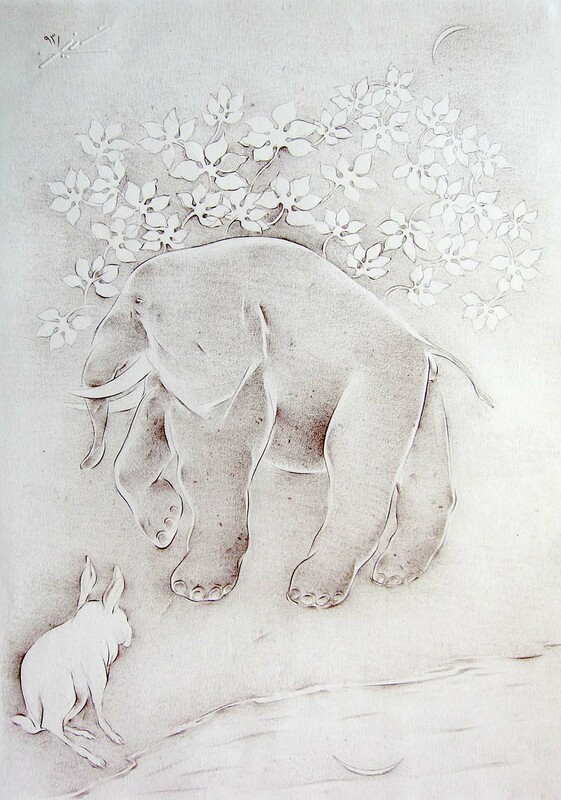 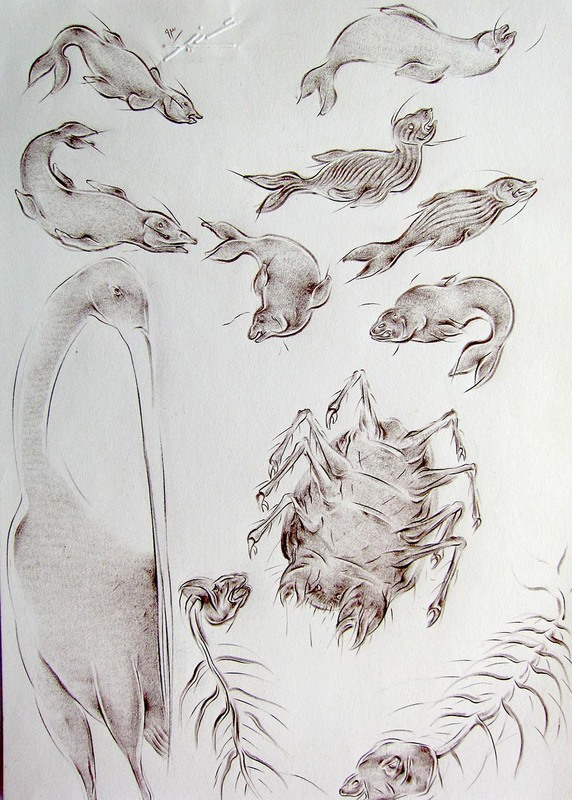 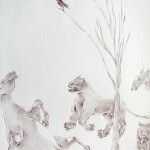 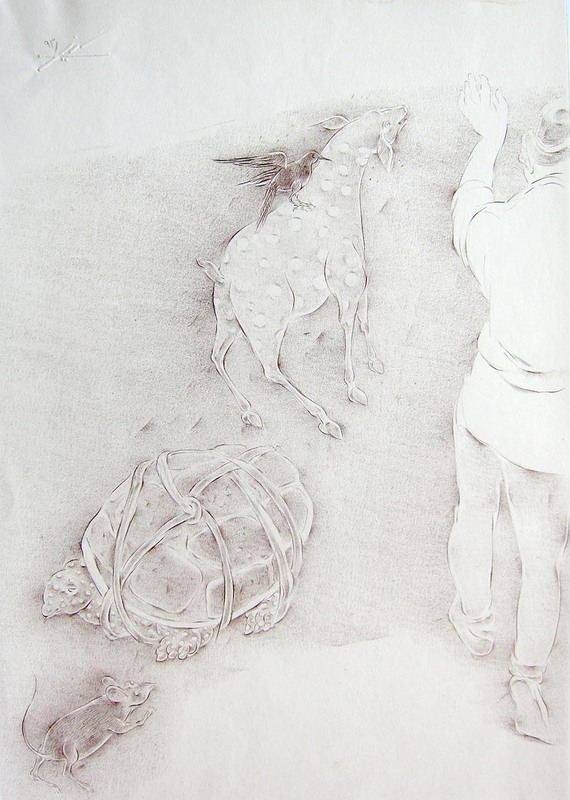 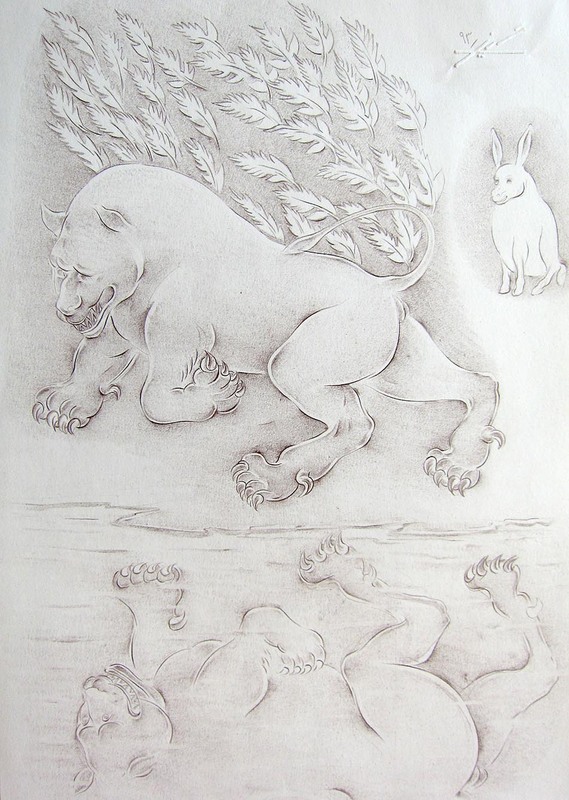 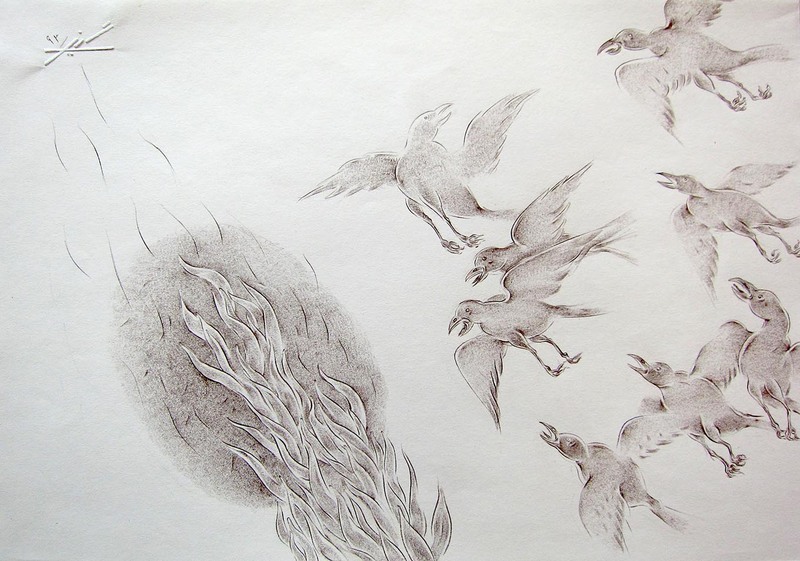 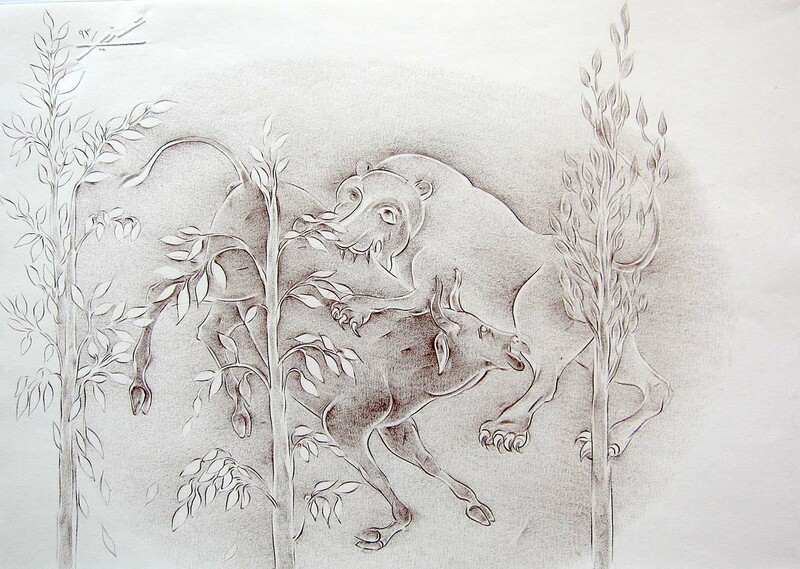 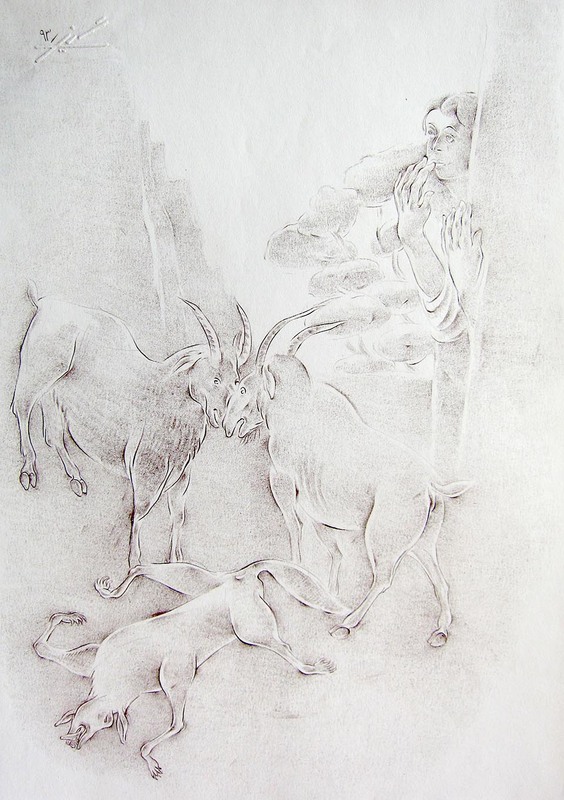 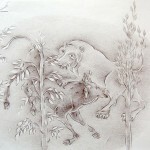 Since his Ghalamkar series, Hosseini has used animals more extensively in his works. 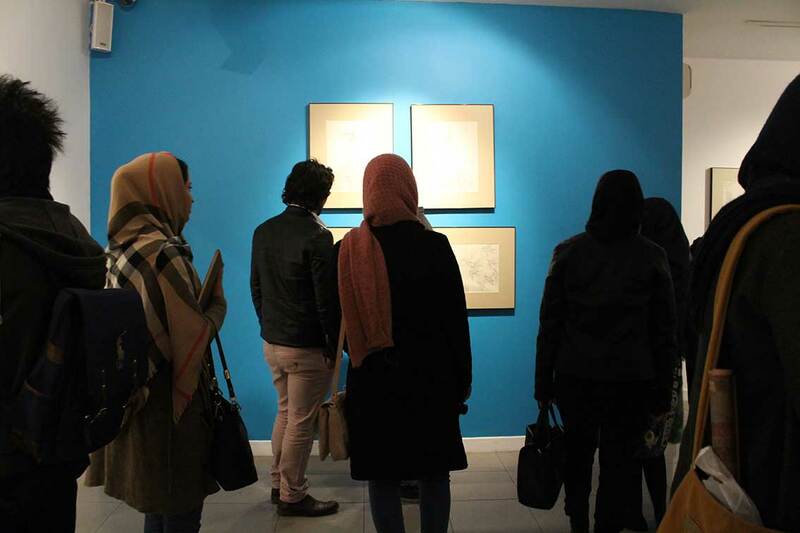 Different features of these drawings link the intermingling of the Far East’s mysticism art and Zen painting to the analytical mind of twentieth-century abstract artists, and the infatuated miniature paintings of Isfahan school. 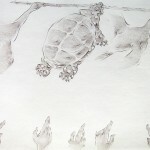 The importance of living creatures is noted in many ancient Iranian stories and legends along with ancient cosmology and zoology books such as Ajayeb-al-Makhlughat (Marvels of Creatures), and literary texts including Attar’s The Conference of Birds, The Encyclopedia of the Brethren of Purity, Avicenna’s writings and Persian poetry. 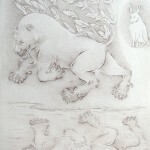 In mythology, animals are everywhere and share this world’s heaven and hell. 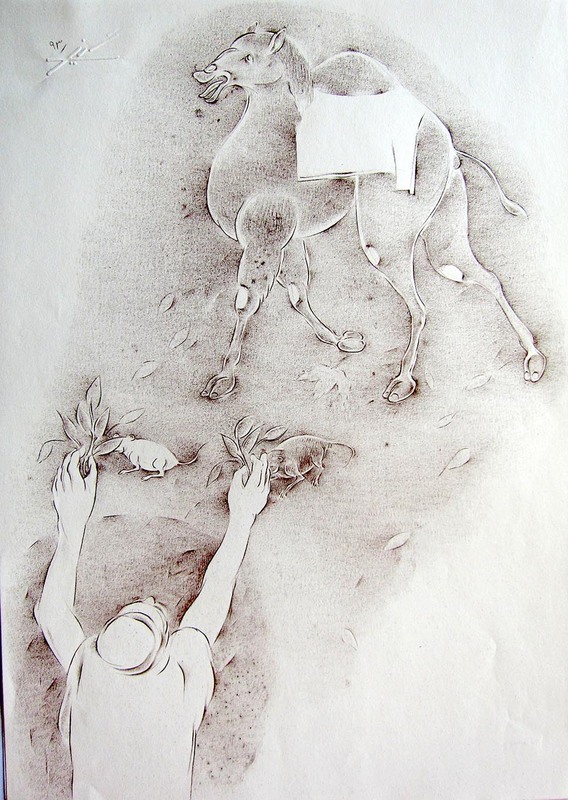 By a contemporary reading of Kalileh o Demneh, one question is formed: how can we return to the marvelous world of earth and nature? 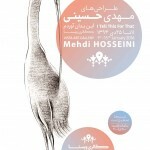 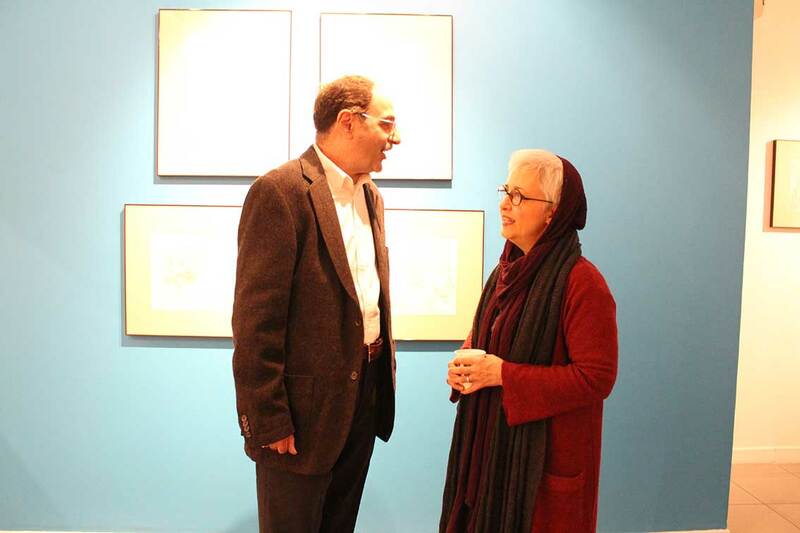 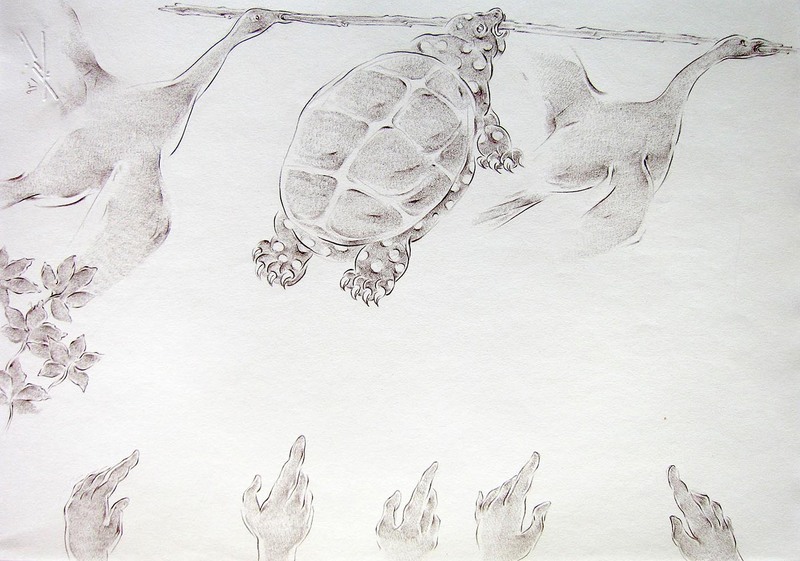 Kalileh o Demneh with the drawings of Mehdi Hosseini is a passage through history, a contemplation of stories about animals and their importance, using the simplest illustration tool, acting as a powerful reminder for us to think about the future.